It’s safe to say that slow computers are a nightmare to use. Spending minutes at a time waiting for your Mac to load a simple 2-minute video, staring at that continuous spinning wheel of doom is not fun. So, what if we told you there are a few simple steps you can take to speed up YouTube on your Mac? Tired of buffering? Here are a few steps that may help solve your issues. It sounds obvious, probably because it is, but many Mac users put slow running down to viruses or technical glitches - forgetting that the main source of internet is through Wi-Fi. If your videos are buffering endlessly, or searches are taking an age to load, weak internet connection is the likely suspect. You can conduct Bandwidth tests through independent websites, but they tend to be inaccurate and sporadic. Setapp subscription allows you to download apps such as NetSpot, which will provide you with a much more comprehensive and reliable insight into your Wi-Fi power. 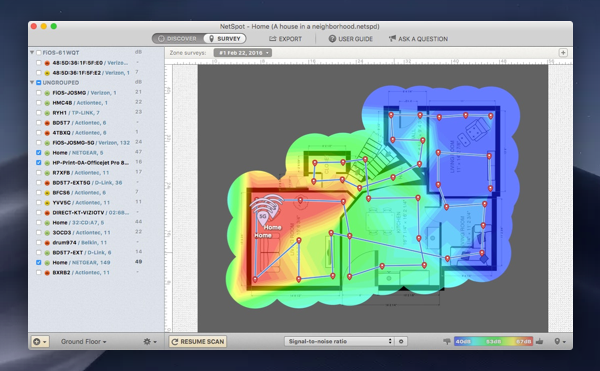 NetSpot channel scanner feature analyses Wi-Fi coverage and performance, detects the most suitable access point spots and visualizes where the signal is strong/weak via heat maps – meaning you can find the optimal area for fast connection. It also allows you to improve and troubleshoot your wireless network, by performing live scans and figuring out real-time download speeds. NetSpot makes analyzing, fixing and deploying any kind of wireless network smooth, fast and hassle-free, subsequently speeding up your YouTube sessions. Bypass the need for technical assistance and manage Wi-Fi yourself, through a tried-and-tested, simplistic app. Background or pop-up adverts are a notorious, niggling annoyance that can impact the speed at which YouTube runs. It’s 3 am, you can’t sleep, and as a result, you’re 3 episodes deep into a conspiracy theory about Khloe Kardashian’s true ancestry. Suddenly, an untoward advert selling you lip plumbers and teeth whitening strips interrupts your viewing. Annoying, isn’t it? Not only do these ads divert your attention, they disrupt the algorithms used to stream videos, meaning YouTube operates at a much slower rate. Just as well there are many Safari extensions available that block unwanted adverts to speed up your viewing experience, such as AdBlock. Get rid of distractive plugins and malware (earlier than you get annoyed) with CleanMyMac X: Open the app, select Extensions on the left side of the screen > Internet Plugins > Remove. To go even further, you can submerge yourself in a distraction-free environment, tete-a-tete with your Kardashian’s story or whatever you need to Focus on. A targeted blocking solution, the app builds a list of apps and websites you won’t be able to access during your focus time. Instead of streaming the traditional way through the YouTube website, using external players can be an effective and easy way to quicken up your videos. This eradicates the influence of adverts and pop-ups without having to download blockers, which may take up more data on your Mac than wanted. Elmedia Player is a great example of an app that facilitates a hassle-free and engaging viewing experience. Open video and audio files no matter their format, find and stream online content from within the app and add a range of advanced features to fix playback issues – Elmedia really has it all. With Elmedia, buffering caused by slow Wi-Fi could be a distant memory. The ability to save videos onto your Mac and watch them to your heart’s content when you’re offline is another major bite to this app’s bark. The player can also save and store entire playlists in a variety of formats, giving you full control to watch whatever, wherever, in any order. If that wasn’t enough, Elmedia cooperates with Airplay, so you can play content across your devices to suit different contexts. Believe it or not, hard-drive issues can also impact your video streaming speeds. But, forget about calling up Apple to book a genius appointment – there’s a simple hack to running checks and fixing glitches which you can do right now. Flash video is a complicated business, requiring multiple tools and programs that can sometimes be too much even for macOS systems to handle. However, you can run a hard-drive check to ensure the tools YouTube needs are functioning correctly. 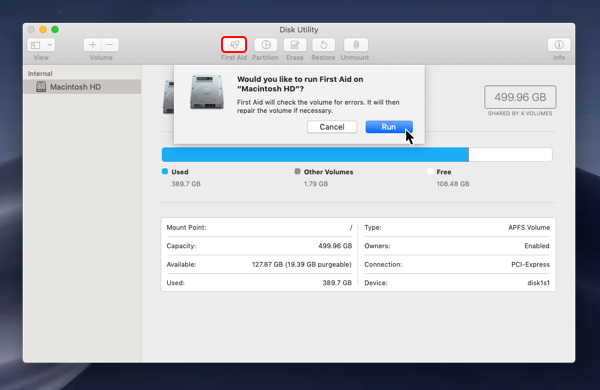 Simply head to Spotlight on your Mac (the search tool in the top right of your monitor) and search for ‘Disk Utility’. Highlight your hard drive and Run First Aid. 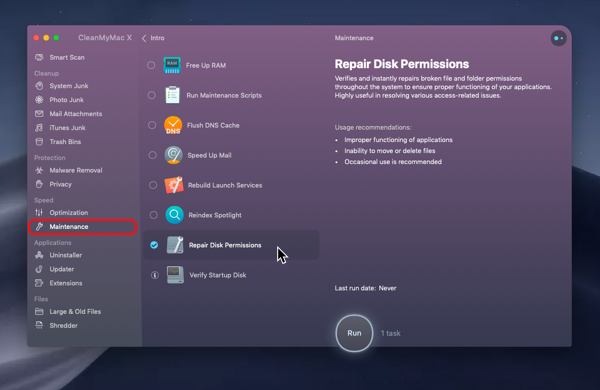 Or open CleanMyMac, choose Maintenance, and select ‘Repair disk permissions’ – this will de-clutter the hard disk and fix any issues that could be slowing down YouTube. Last but not least, conserving your Mac data is another technique to fasten up YouTube. As a video streams, your computer needs somewhere to save the data, which is normally in the Random-Access Memory (RAM). This is a location external to the hard drive, meaning the video isn’t actually downloaded on your Mac. Navigate to Apple’s Activity Monitor to see how much RAM you have, and if it’s under 100mb, it may be wise to download a data saving app. 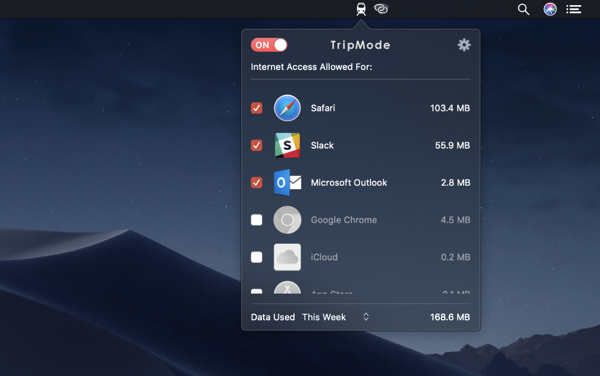 At Setapp, we have various solutions to this problem with apps like TripMode. 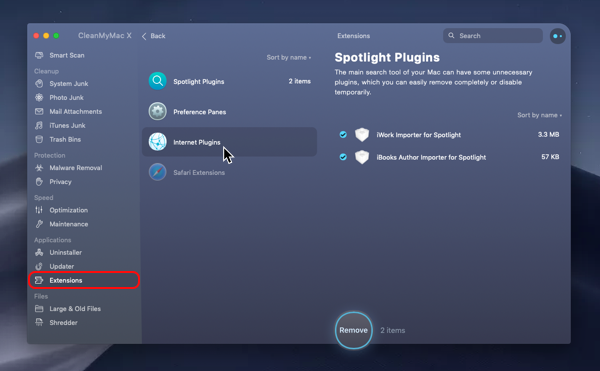 With an easy-to-use program, you can enable this smart data blocker app directly in the menu bar, and it will be automatically launched when your Mac connects to that network. Plus, you can easily block specific apps, whether too data-hungry or simply unneeded. With TripMode, only the apps you specify will be allowed access to the Internet - concentrating the share of data on YouTube if you wish – to make streaming smoother and faster. The app also allows you to keep track of your data usage, checking the general data used or the detailed data for any particular webpage, session, day or required period. This enables you to detect which apps are data-hungry and disable them when you don’t need them. With Setapp subscription, you can download these apps plus a whole host more, to ensure you receive swift and speedy streaming speeds. Start your 7-day free trial with Setapp today and discover a world of app innovation.